New Business Phone System, Office Phone System | 8x8, Inc.
Moving offices? Perfect timing for a new business VoIP system. Whether you’re moving to a new office or opening a brand new one, choosing the right business phone system for your new location is critical. An office move is the perfect time to make the transition to a cloud-based VoIP phone system that puts your company ahead of the curve. Grows with You. Goes with You. If you’re growing and expanding, 8x8 offers extraordinary flexibility to grow quickly and easily as demand increases. 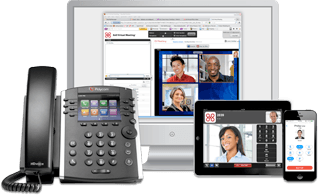 An 8x8 business VoIP phone system offers all the advanced phone system features you’d expect plus mobile apps, web conferencing, instant messaging and more. In fact, 8x8 is the only hosted VoIP provider with fully-integrated web conferencing and instant messaging. Plus we offer flexibility and mobility for today’s workforce. Employees can make calls right from their computer, via their smartphones or using sleek VoIP phones. So they’re connected in the office and on the go. 8x8 gives you all the tools you need for your company’s professionalism to shine through. With an 8x8 Virtual Office business phone system, calls are routed quickly and professionally, ensuring that your customers get the best service your company has to offer. From an automated receptionist to ring groups so your employees can promptly answer incoming calls. Moving soon? Not a problem. 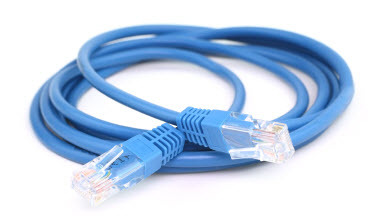 Because the phone system features are delivered over your Internet connection, installation is much faster than a traditional phone system. In fact, with 8x8 Virtual Office, you can set up your service online before you move so that move-in day is just a matter of plugging in and activating your phones. With 8x8, you can bring your existing phone numbers with you. And managing your phone system is refreshingly simple through the 8x8 web portal. CST Industries was moving in just one week. 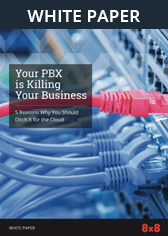 Learn how 8x8 stepped in to get them up and running in time with an 8x8 hosted VoIP phone system.